Take a tour into Tilda Swinton‘s fashion fantasy in the May issue of W Magazine. Aside from her beautiful editorial and images of couture jewels, this issue tackles tough beauty topics regarding sunscreen, Botox and the toxins lurking in your everyday cosmetics. Though we often think cosmetic companies would never include an ingredient that could potentially be harmful, it’s actually quite the opposite if you take the time to read that lengthy ingredient deck. With hard-to-decipher words that only a chemist could understand, your everyday skincare and makeup products could be harboring endocrine disruptorsand more. That being said, however, you can make the transition to green easier than you make think. Today’s brands are not only clean but also luxurious, providing you with products that rival their conventional counterparts. Amely Greeven suggests slowly trading your favorites such as ditching a sulfate-ridden shampoo for a natural version (and beware of greenwashers!) like Rahua. 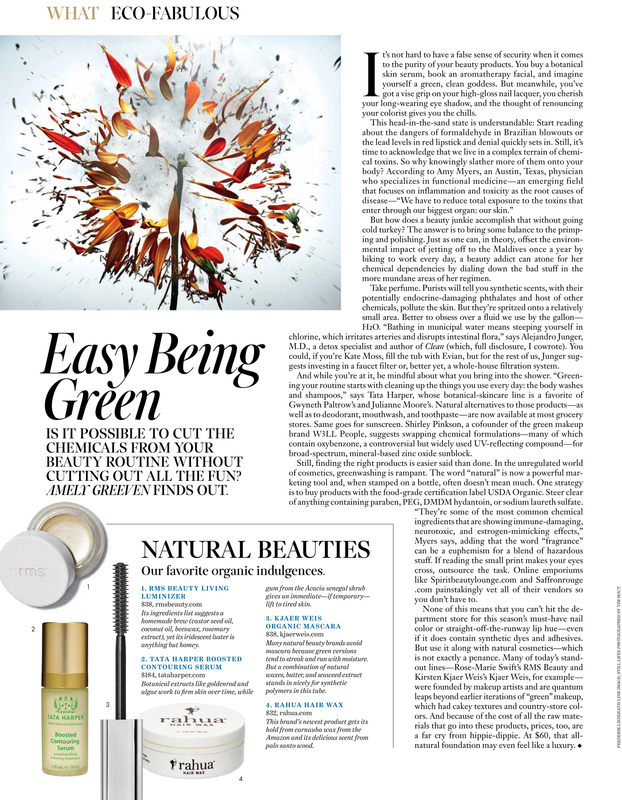 Other organic favorites of W include rms beauty, which includes unique colors and products formulated by a professional makeup artist, Rose-Marie Swift, who has a depth of knowledge in this field. Their favorite of the line? 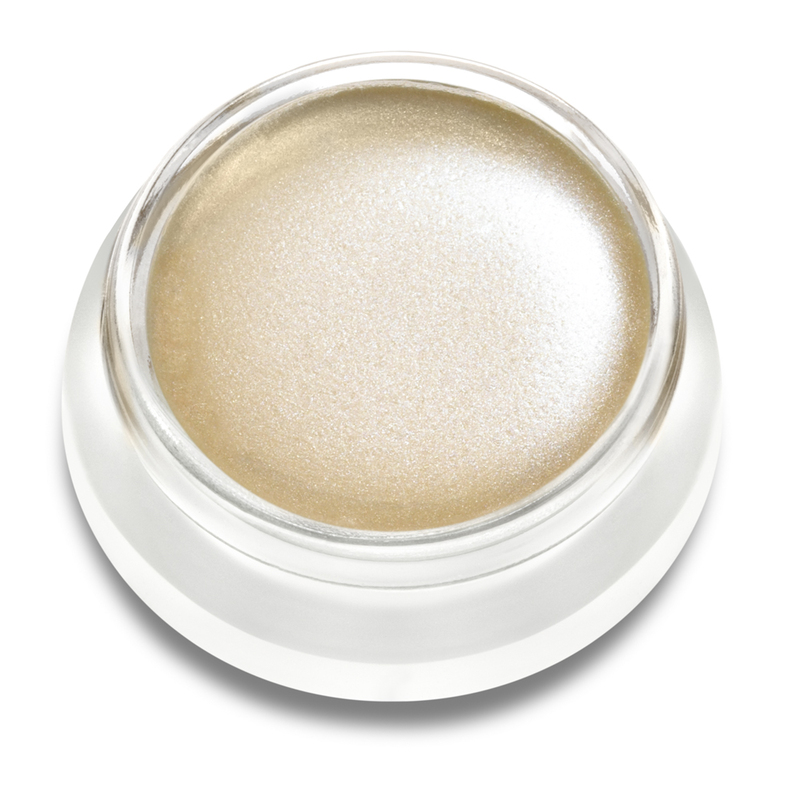 Our living luminizer, a highlighter that is neither glittery or sticky. Filled with yummy ingredients like coconut oil and beeswax, this pot of shimmer will leave skin looking fresh and dewey–without harsh chemicals. Going green has never been easier!